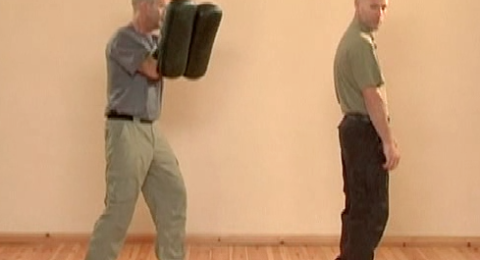 Defending straight punches with outside defenses. Here we have couple of situations, couple of stances appropriate to these techniques. These are passive stances. 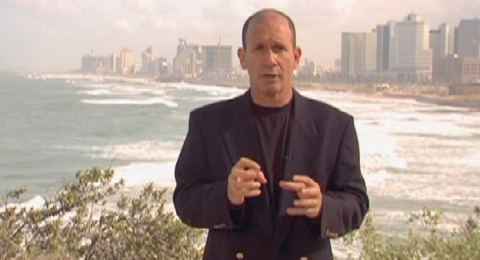 Either hands by the sides of the body or hands in front of the body…. 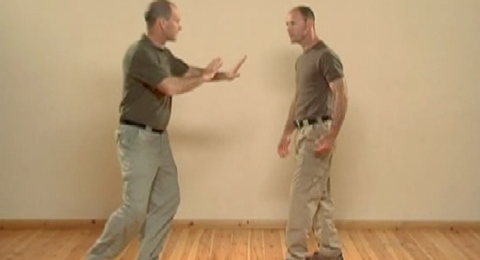 Defending straight punches with outside defenses. Here we have couple of situations, couple of stances appropriate to these techniques. These are passive stances. Either hands by the sides of the body or hands in front of the body. In any case, the punch is coming diagonally from the front. Ready stance for outside defenses. From general ready stance, cross your hands, your palms to the opposite sides. 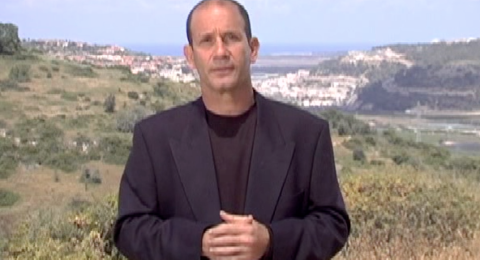 The front hand is always on top, and the palm passes the opposite shoulder. 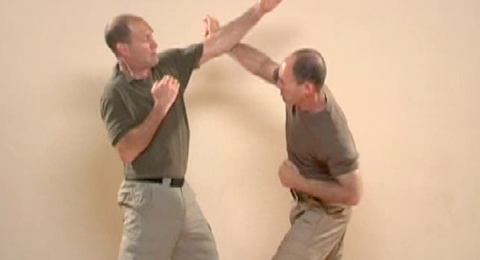 Outside defenses against straight punches. The front hand would be the defending hand. The opponent is at an angle towards, his swing diagonally forward. With the forward hand we’ll deflect the punch sideways and continue with an immediate counterattack. Practically the two actions are done simultaneously, defend and counter. Continue with more and multiple counterattacks. There are three options for these defenses. One, the sharpest one, the fastest one is with the thumb to the outside. The second, the back of the hand is directed toward the outside. Naturally here the defense is done with the forearm. The third is the pinkie is directed to the outside, the bony part of the forearm is deflecting the punch. The defense is like pulling the counterattack, which is being sent immediately after it, still, both are done simultaneously. The body defense here is very minimal. The fourth defense is done upward. 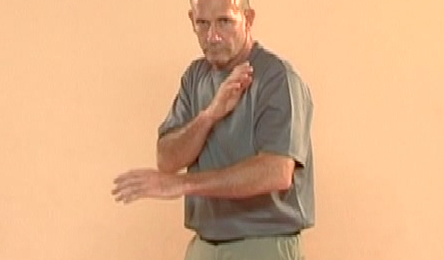 Start with the hand defense with a diagonal forearm sent diagonally forward and up. The rotation of the forearm to bring the pinkie side, the sharp side of the forearm, the bony side in contact with the attack. At the same time, lower your head a bit and counterattack. If the attacker attacked with a left punch and you’re defending with the left hand, usually his ribs would be open for a counterattack. If he’s punching with the right hand, usually his head and solar plexus will be vulnerable and exposed. 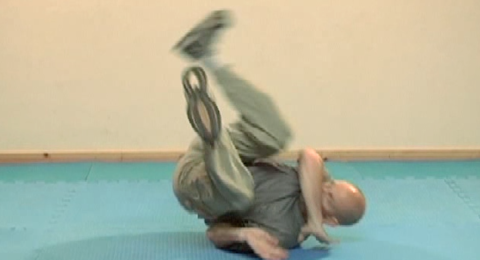 Outside defense against a short-range roundhouse punch. Clench your fist. The fleshy part of the forearm, the wide part is defending. 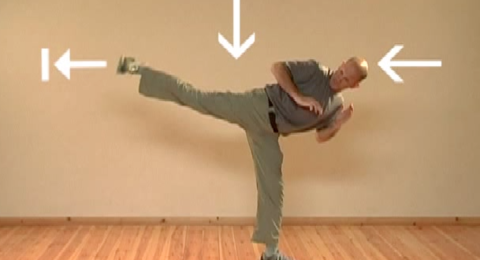 Send the forearm diagonally backwards in a sweeping motion, not to sink into the pit of the elbow. The defense should be as distant as possible from your head. Counterattack as soon as possible. If you can do it simultaneously, it is much preferred. 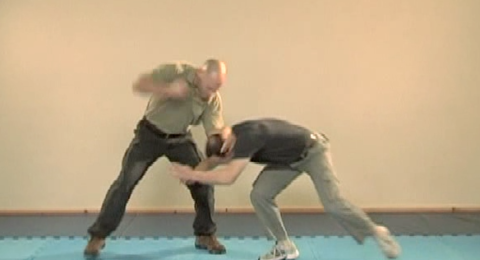 The first counterattack can be with the other hand, with the headbutt, or with the knee kick. 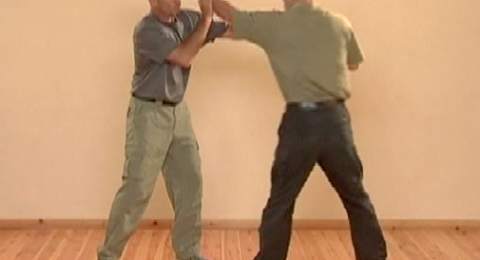 Your forearm is at an angle, slanted to minimize the impact and to send the attacker’s punch a bit diagonally upwards. The sweeping defense backwards is needed as you can compare this punch to a straight punch that is being sent towards you from your side.